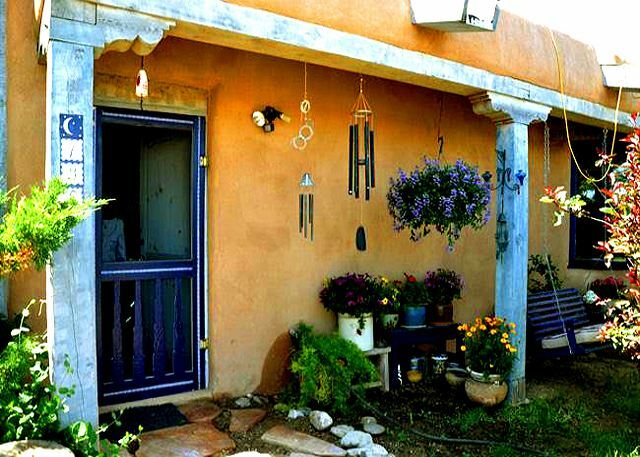 Adobe de Artista is not just a vacation home. 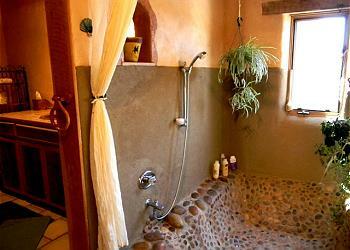 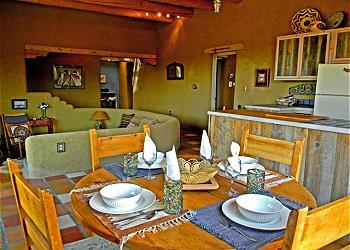 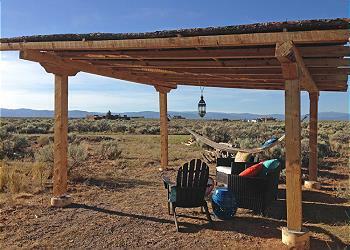 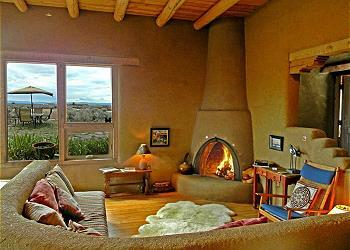 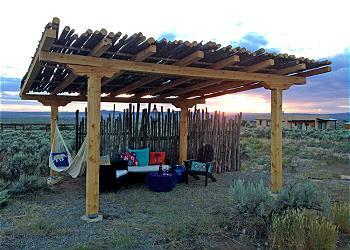 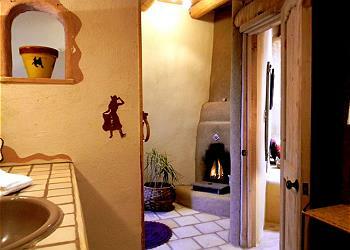 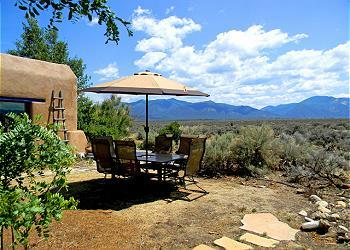 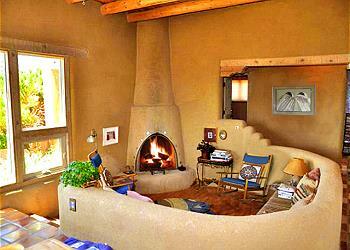 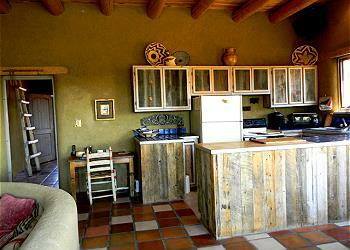 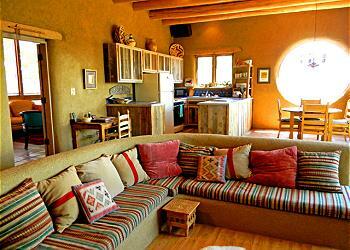 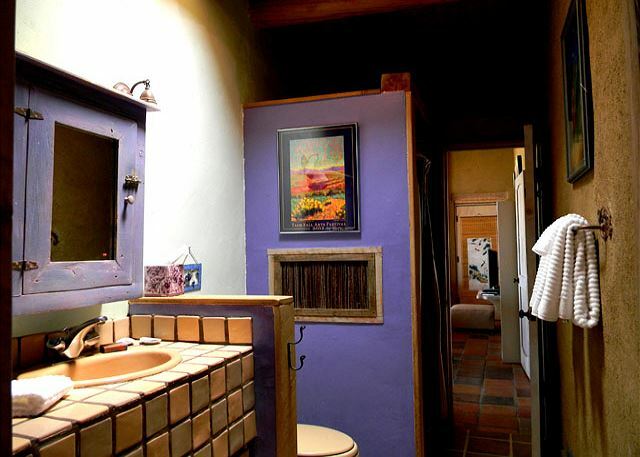 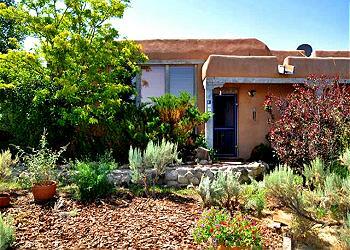 It allows visitors to live a true Taos experience – one of whimsy and relaxation, with access to adventure. 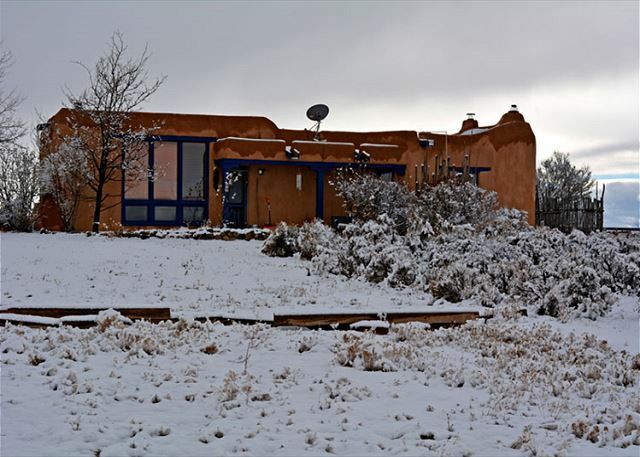 Whether you are seeking pristine mountain and mesa views, artistic flair, unique architecture, proximity to not only the town of Taos, but also to the Ski Valley and the Taos Gorge and Del Norte Rio Grande National Monument or the hot springs, this home has it all. 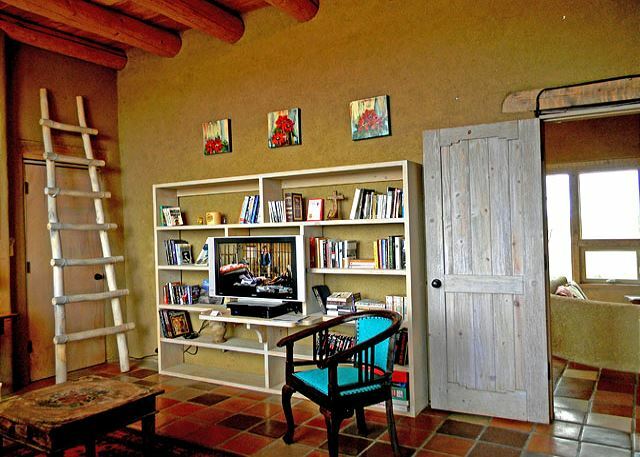 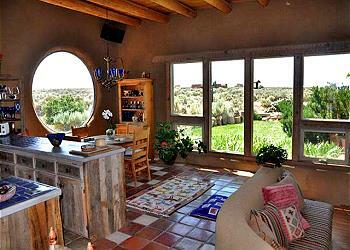 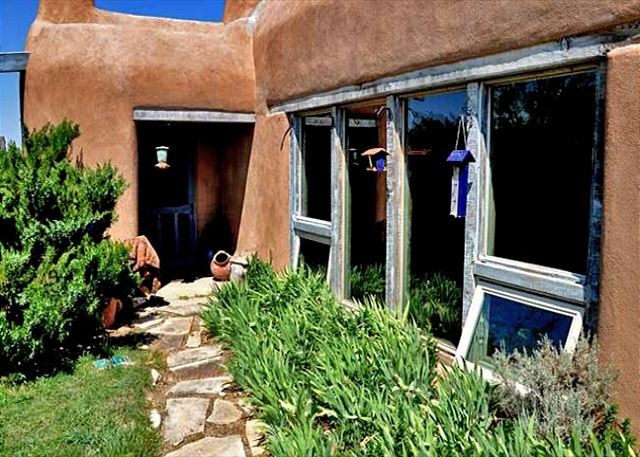 One of a handful of custom homes designed and built by Taos’ famous painter, Ed Sandoval, this distinctive residence is made in the Old World style using adobe bricks. Many interior walls appear to glitter with gold due to the use of plaster flecked with straw and mica, a naturally-occurring element in surrounding land that gives Taos Pueblo pottery its characteristic appearance. Unexpected swirls of paint in bedrooms and bathrooms delight the eye, and a river stone shower/tub surrounded by plants make the master bathroom feel like a garden. 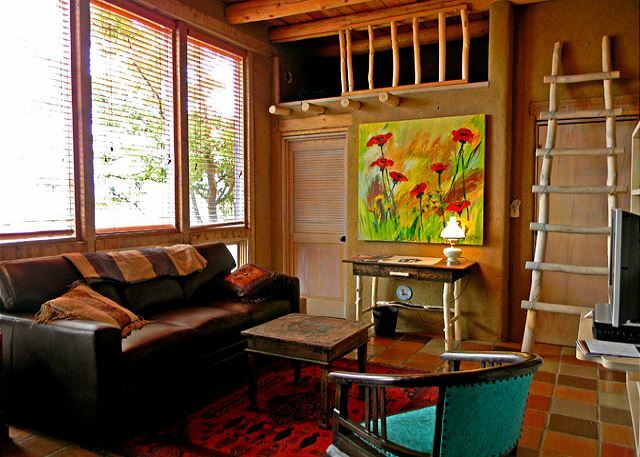 This home is not just livable art but is also warm, inviting and nurturing to the soul. 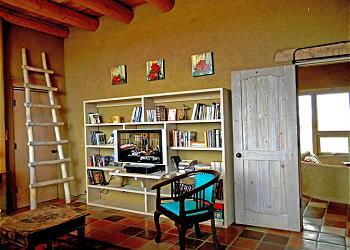 Staying in for the day? Depending on the weather, put your feet up and read a book on the bancos in the “conversation pit” next to a traditional wood-burning kiva fireplace; enjoy a glass of wine on the portal swing while listening to birds and soft chimes blowing in the breeze; or prepare a favorite meal on the grill and dine beneath an umbrella while taking in the magic of Taos Mountain. Prefer to head out for a mountain or river excursion, or some local culture? Even if you don’t know what you want to do or see, you’ll find the home contains all the material you need to determine the best places to go for entertainment and dining to suit your every desire. 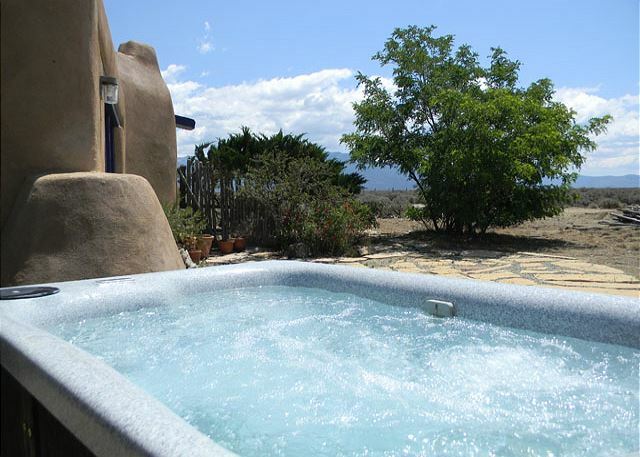 On the return, no matter what the season, soothe tired muscles in the hot tub beneath a moonlit sky so clear you can see the Milky Way. 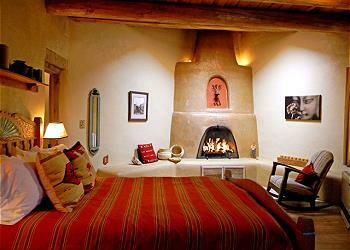 Finally, sleep like a baby on beds appointed with foam or pillow-top mattresses. Whether this is your first or 100th visit to Northern New Mexico, Adobe de Artista promises a stay like no other. Room Description: Queen, Queen 4 adults - Max. 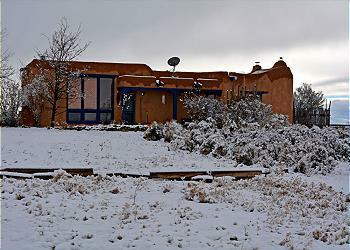 We have had such a wonderful time in this house. 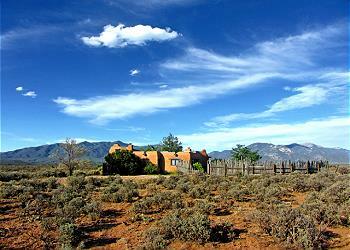 It is absolutely beautiful. 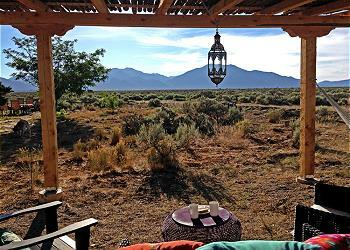 The views are breathtaking and can make even a mid-morning sleeper happy to rise in order to watch the sun rise. 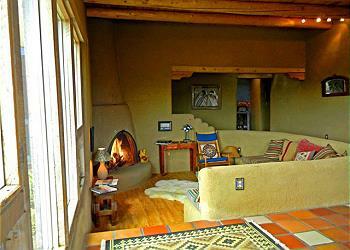 The house is spacious yet cozy and already feels like a second home. We love it here and will be back again! 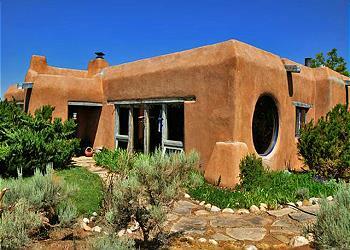 - Jason & Kelly, Albuquerque, N.M. 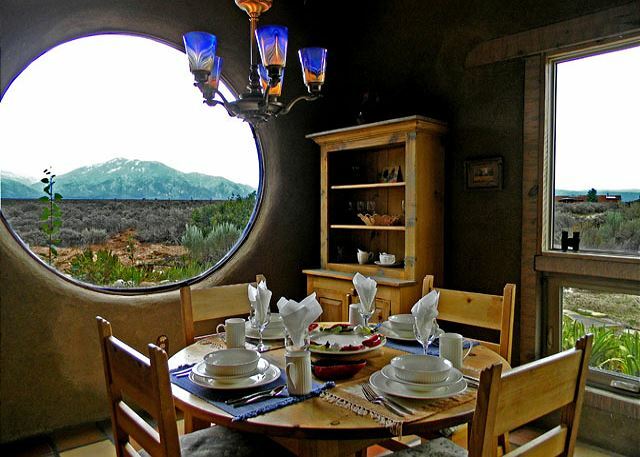 This home is amazing. The peace and tranquility you find here is incredible. 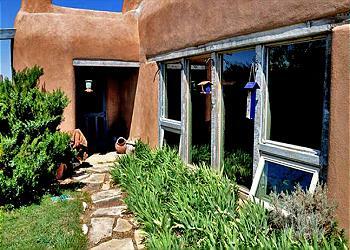 This was truly a healing time for our mind, body and soul. 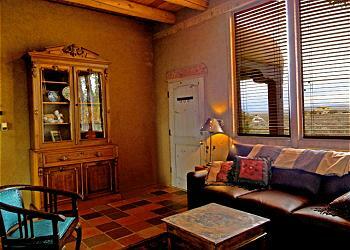 We so enjoyed the views and the beautiful furnishings. 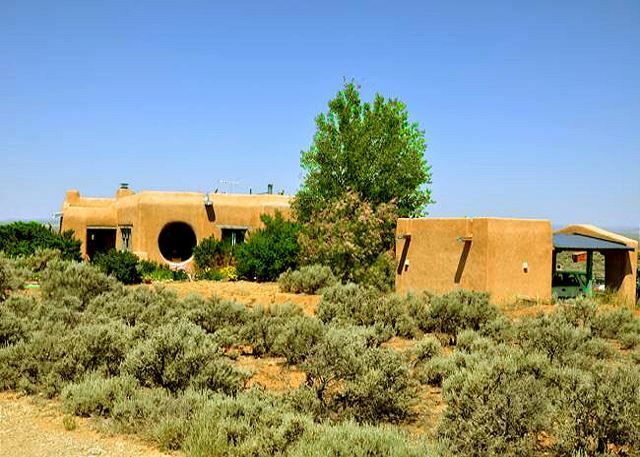 - Pat & Mary, Albuquerque, N.M.